You can’t buy happiness. But you can support someone’s dreams, and that’s kind of the same thing…. Award-winning company Red Letter Films was founded by Sylvie Peltier. A GroYourBiz alumni herself, Sylvie spearheaded Red Letter Films’ alliance with GroYourBiz to offer a fellowship to support women entrepreneurs and business owners like you. Red Letter Films develops and produces dynamic and engaging content for enjoyment everywhere on any platform. With her partner Greg Nosaty, they have produced, written and directed over 120 hours of documentary programming for television. Their productions have been seen on Discovery, History, CBC, PBS, OWN as well as many international broadcasters. Red Letter Films’ Business division leverages its television expertise to help companies create the videos they need for their digital marketing in the most efficient way, whereas its Academy division teaches the same video-making secrets as seen on the world’s top TV networks so you can make powerful videos for your business. Diane McCurdy, CEO, started McCurdy Financial Planning with a solid commitment to designing personalized financial programs using a diversified approach and conservative strategies that maximize overall return. Today, McCurdy is one of the top independent financial planning companies in Canada. McCurdy is one of Canada’s foremost financial planners. She established McCurdy Financial Planning, long before the term “financial planner” became a common industry designation. As a member of the insurance industry’s Million Dollar Roundtable, Diane believes her clients need financial advice in all areas of their lives. Her passion for her clients’ success has grown into a financial program that has helped thousands attain their goals, and led to her publishing “How Much is Enough? Balancing Today’s Needs with Tomorrow’s Retirement Goals”. It has become a Canadian bestseller helping thousands more achieve financial peace of mind. Diane is in demand as an industry knowledge leader. She has given countless media interviews and has addressed audiences throughout the Americas as a keynote speaker. During those rare times when she isn’t at the office with clients, guiding her team, or sharing her knowledge, she loves an invigorating hike on a challenging trail. Eva Sun, CEO and President of The Rice People, emigrated from Taiwan in 1976 helping her father manage grocery stores and later establishing her own rice business. Known as the “Rice Lady”, she shares her knowledge not only in the world of rice, but also influences the food industry as whole. Eva is committed to community and to helping others in the industry. She is on the BC Premier’s Women’s Economic Council, a board member of BC Food Processors Association (BCFPA) and GroYourBiz. She is also a member of International Women’s Forum (IWF), WBE Canada, WEConnect International, Canadian, Australia & New Zealand Business Association (CANZBA), Taiwan Chamber of Commerce in BC (TCCBC), and GroYourBiz Executive Advisory Board. Eva provides mentorship, support, empowerment, inspiration and practical solutions for other women in the food industry. Her support for supplier diversity has gained her recognition with a variety of global buyers. She promotes and advocates the importance of global trade organizations and businesses helping businesses. She also supports various charitable and philanthropic events. Eva’s achievements were acknowledged with the RBC Canadian Women Entrepreneur of the Year Award for “Trailblazer”, Star Women in Grocery Award, BMO’s Community & Charitable Giving Award, BC New-Canadian Entrepreneur Award, and Richmond Chamber of Commerce’s Business Leadership Award. Eva is a leader focused and driven to foster proactive changes within all communities that she touches. Eva envisions and builds and makes a difference. She is engaging, insightful with an entrepreneurial drive to get things done. She believes in fairness and inclusiveness. She has a generosity in sharing lessons learned, her knowledge and expertise with others. Through her passionate belief in the value of people she brings hope, develops confidence and self-worth. As the Former CEO of Imprint Plus for 18 years, Marla is proud of leading Imprint Plus through different growth stages ultimately leading to the acquisition of the company by CCLIndustries Inc., to become a division of Avery April 11, 2018. Marla was the 2013 winner of the WeConnect Canada WBE Ambassador award, the 2012 winner of the Bank of Montreal Global Growth Award, and a 2007 Ernst & Young Entrepreneur of the Year Finalist. Marla’s relationship with Imprint Plus began a $20,000 angel investment and a personal bank guarantee, needed to keep a 7 year-old start up afloat for a childhood friend. When the bank called the loan in 2000, she gave up her Chartered Accounting practice, moved across the country to Vancouver, British Columbia, and became the full time CEO of Imprint Plus. Marla arrived to face an unproductive management team, thin capitalization and a balance sheet that sported a debt of $700,000. 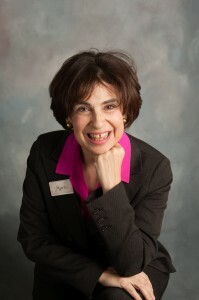 In the fifteen years that Marla Kott operated as the CEO of Imprint Plus, she has built the company into a thriving international exporter of name badge systems with a goal to becoming a category leader in this niche market, and recently through her team leadership sold the company for 25 million. Marla’s background as an accounting professional has been invaluable to her in her role at Imprint Plus, but she credits her business instinct to her Dad who was an entrepreneur himself and taught her a great deal. Marla is passionate about being a woman in business, and is very involved with WEConnect Canada, the Women’s Business Enterprise National Council, The B.C. Forum for Women Entrepreneurs, the Women’s President Organization, and more. She also enjoys mentoring young women in business (including her daughter) with her mantra, “aim higher”. Marla currently is an independent consultant and is on the GroYourBiz Executive Advisory Board. Treemont Retirement Community was the first Continuing Care Retirement Community (CCRC) in Houston and is proud to have now served multiple generations of satisfied family members. The retirement home in Houston, TX is family-owned and operated which affords direct involvement by the owners with the daily operation of community for the benefit of its residents. Treemont is a special place due to its long-tenured, caring staff, many of which have 20 or 30+ years of service. We have staff that have made a decision to return to Treemont for their own retirement. As we celebrate our 40th year of service to the community, we welcome you to visit and see why residents call Treemont home! If you’ve ever seen a sick dog eat grass then you know how powerful nature’s remedies can be. Here at NHV Natural Pet Products, we believe in supporting your pet’s health and well-being with vet-formulated herbal solutions designed to promote health and stimulate healing. All of our products and supplements are made with 100% natural ingredients, formulated by a master herbalist and a holistic veterinarian with more than 20 years’ experience developing plant-based remedies. They are free of additives and preservatives, made with the finest organically grown or ethically harvested herbs, and manufactured with vegetable-based glycerin. All of our products are manufactured in our state-of-the-art facility where they must meet stringent in-house standards before being tested a second time by a third party lab. It’s all part of our commitment to producing supplements we know you’ve come to love and trust. Because after all, we love your pet naturally! Concept Plumbing & Gas Ltd. is a commercial and multi residential mechanical company that has been operating since 2003 in Abbotsford, BC serving the Greater Vancouver and Fraser Valley. Concept is a family run business – owners, Jason & Brittany Manulak, are community minded and believe in getting involved and giving back. Since 1982, Chinook Helicopters has risen to become a national leader in rotary wing instruction and training. We have developed an efficient model for providing all levels of helicopter pilot certification and specialization within the worldwide helicopter industry. We are committed to providing the most comprehensive training that meets and exceeds both domestic and international standards, giving pilots the ability to fly not only in Canada, but throughout the world. Chinook now dominates Canadian helicopter training with a 25% market share of all the helicopter training completed in Canada. Last year 30% of students attending courses and programs at Chinook come from countries other than Canada. A large percentage of helicopter companies across the globe probably have someone in their employ who has been through a Chinook helicopter training program. As well as teaching people to fly, Chinook provides a full range of industry related advanced training and is well positioned to meet and exceed the upgrade and recurrent helicopter training needs for pilots at commercial helicopter flying operations around the world. To maintain pace with changing industry trends and evolving technology, Chinook is continually developing innovative helicopter related training projects. Advanced computer programming, machine learning, robotics and UAV (Unmanned Aerial Vehicle) are sectors under development that will enhance and expand on the traditional forms of training we have offered over the years. ente ring the investment business in 1988, Elizabeth has been an active participant in education and supporting community initiatives. Would you like to Join this SPACE and be recognized as an organization who wants to foster the growth of women business owners and entrepreneurs?